I am a sucker for great quotes about the power of poetry! In fact, I have compiled tons of them and am always looking for more. I've made a whole slideshow of quotes that I often use before a presentation because I love combining powerful quotes with evocative images. And if I were a tattoo-ing kind of gal, I think I would put one on my body! The problem is: which one? There are so many I love! The next best thing? Put them on Pinterest! 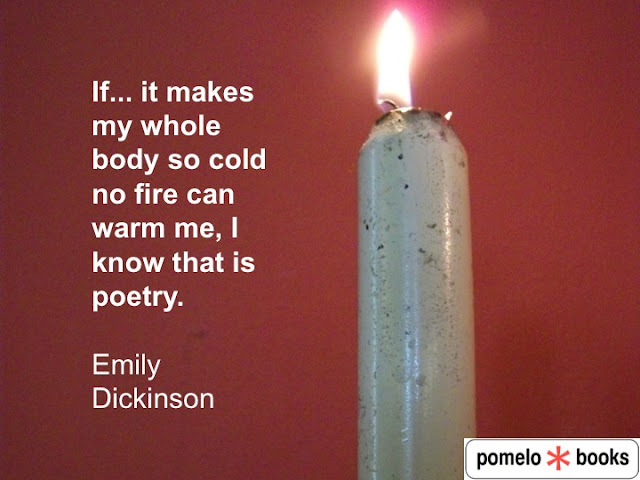 So, if you like poetry quotes like I do, you'll find all of my favorites here at Pinterest. And if you have more to share with me that you don't find there, please do! Meanwhile, I'll also post a few below to whet your appetite and push you to Pinterest! Enjoy! 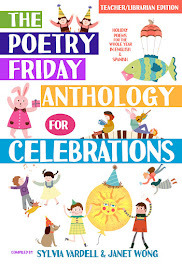 Now head on over to Friendly Fairy Tales for this week's Poetry Friday celebration hosted by Brenda. See you there! 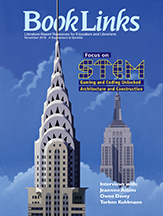 Have you seen the November issue of ALA's BOOK LINKS magazine? It's always such a helpful resource for teachers, librarians, and parents and this issue has a STEM focus. I was lucky enough to do an interview with the lovely Jeannine Atkins for this issue. Jeannine's work explores many aspects of science with a particular focus on the true stories of real women of science. 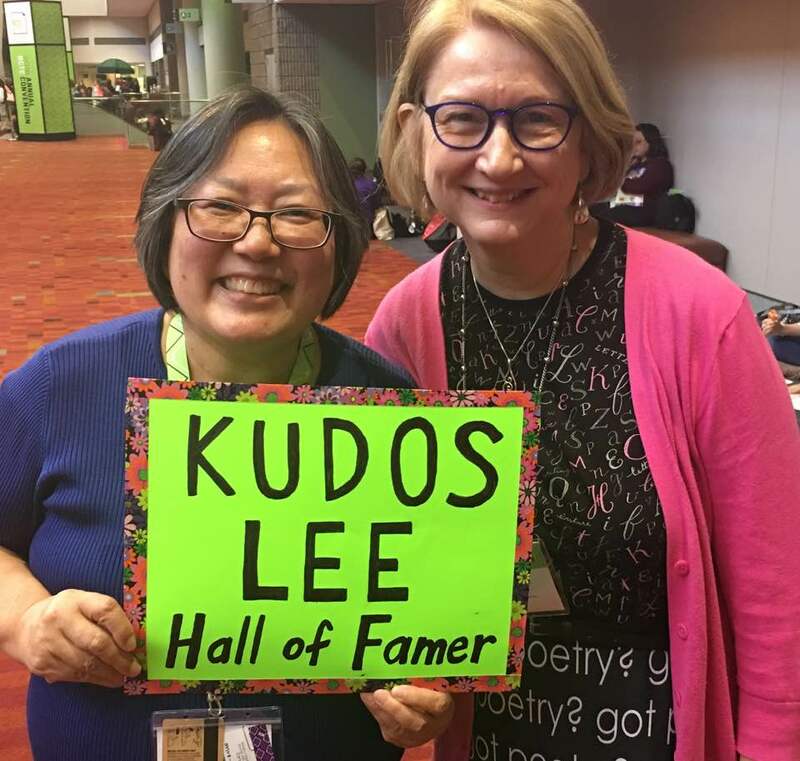 Her latest book published this year, FINDING WONDERS, is about THREE women in history who followed their passion for science-- even from childhood. Atkins, Jeannine. 1999. A Name on the Quilt: A Story of Remembrance. Atheneum. Atkins, Jeannine. 2003. Wings and Rockets: The Story of Women in Air and Space. Farrar, Straus & Giroux. Atkins, Jeannine. 2005. How High Can We Climb? : The Story of Women Explorers. Farrar, Straus & Giroux. Atkins, Jeannine. 2012. Anne Hutchinson’s Way. CreateSpace. Atkins, Jeannine. 2012. Mary Anning and the Sea Dragon. Farrar, Straus & Giroux. Atkins, Jeannine. 2013. Get Set! Swim! Lee & Low. Atkins, Jeannine. 2013. Views from a Window Seat: Thoughts on Writing and Life. CreateSpace. Atkins, Jeannine. 2015. Little Woman in Blue: A Novel of May Alcott. She Writes Press. Atkins, Jeannine. 2016. Finding Wonders: Three Girls Who Changed Science. Atheneum/Simon & Schuster. Atkins, Jeannine. 2017. Stone Mirrors: The Sculpture and Silence of Edmonia Lewis. Simon & Schuster. Atkins, Jeannine. Borrowed Names; Poems About Laura Ingalls Wilder, Madam C. J. Walker, Marie Curie, and Their Daughters. Atkins, Jeannine. Girls Who Looked Under Rocks: The Lives of Six Pioneeering Naturalists. 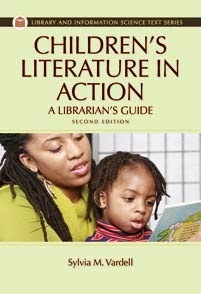 This month's issue of BOOK LINKS is already available online, so here's the link for my article. And in case you can't access the link, here are a few excerpts. A friend told me recently that research has found that girls decide science is not for them by second grade. (See: http://policystudies.org/when-do-girls-give-up-on-math-and-science-its-all-over-sooner-than-you-think/) New England author and poet Jeannine Atkins is determined to change those perceptions and has created multiple books that put girls and women at the heart of science exploration, technological innovation, ingenious engineering, and mathematical inquiry (STEM!). 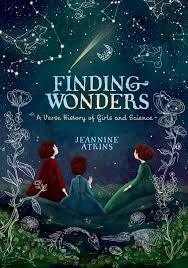 Jeannine Atkins’s recent novel in verse, Finding Wonders, is one fantastic example of this with its depiction of three women in history whose passion for math, astronomy, paleontology, botany, and more is evident already in their young childhoods. 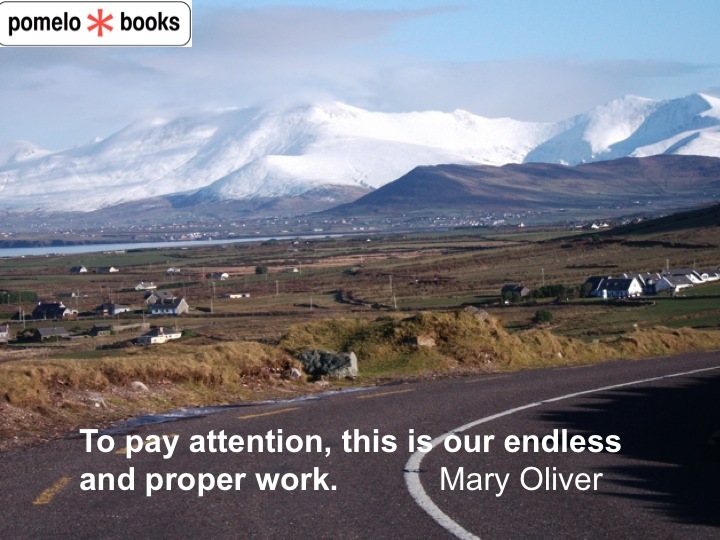 In addition, Atkins’ books such as How High Can We Climb? : The Story of Women Explorers, Girls Who Looked Under Rocks: The Lives of Six Pioneering Naturalists, Mary Anning and the Sea Dragon, Wings and Rockets: The Story of Women in Air and Space, Borrowed Names reveal a real passion for science, history, and biography, particularly in mining the untold stories of girls and women who ventured into these male-dominated fields long before Gloria Steinem (or even Elizabeth Cady Stanton) advocated for women’s rights and roles. Using careful research, thoughtful storytelling, lyrical language, and powerful portraits, Atkins honors real women in history whose lives and contributions deserve to be shared and celebrated with young readers of today. “What’s lost is found again.” Here she answers a handful of questions about poetry, science, feminism, biography, and the importance of fathers as models and encouragers. You may also enjoy her introspective book, Views from a Window Seat: Thoughts on Writing and Life. 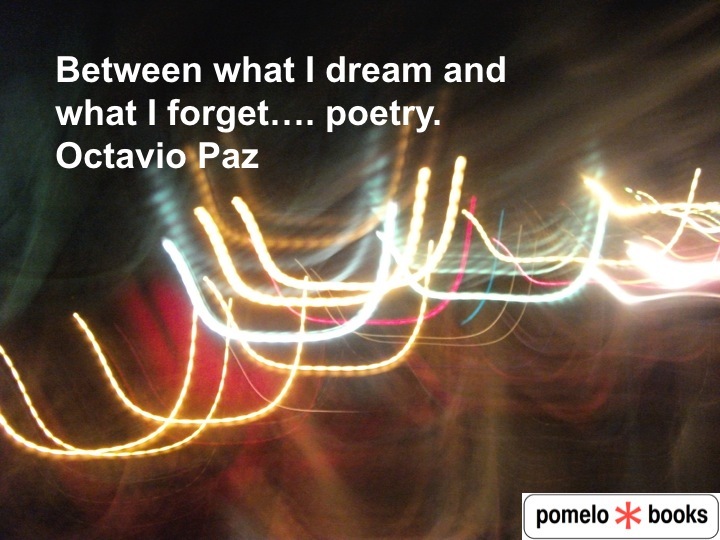 SV: Can you describe the role poetry played in your childhood? When and how did you first discover a love for science, too? JA: I grew up in a small New England town where I could wander in the woods, bicycle down back roads, and walk to the library. There wasn’t what we’d call a lot to do. In other words, it was a sort of golden age of childhood. In the attic of our old house, I found musty primers that I used to give my dolls lessons and memorized some poems. All these years later, some lines remain with me. Poetry, science, and play blurred together. I cracked open rocks, made lists of birds and flowers, and collaborated with my brother on experiments using old glass cigar tubes as test tubes, but no one ever suggested I become a scientist. That’s okay. I lost most of my interest in science when cloud formations and maps of the earth’s core got swapped for abstractions. Who knows if anything would have been different if I was aware of women scientists, but I want to help today’s children know more possibilities. 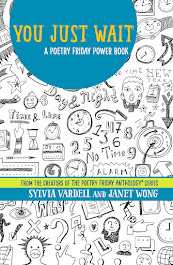 SV: How would you characterize the relationship between science and poetry, between being a scientist and being a poet? JA: Poetry hints, explores, and doesn’t pounce onto certainty. Science is like that, too. For each question solved, another rises. 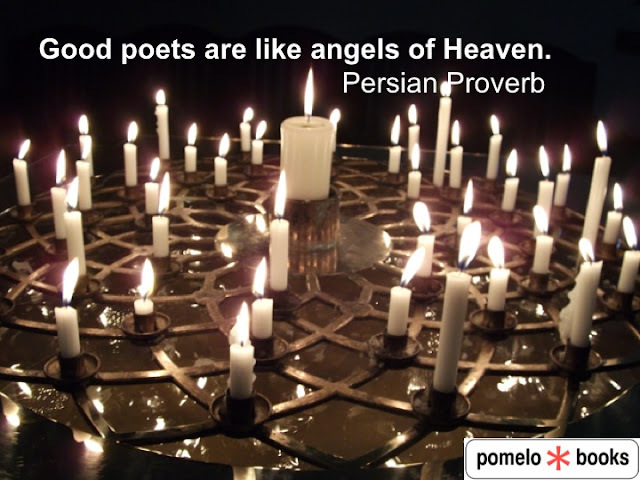 Both poets and scientists may look closely at the world, make mistakes, try again, and wonder. SV: You quote Maria Mitchell as saying, “Science needs women” and you clearly celebrate the achievements of girls and women in science in your writing. Where does this feminist perspective come from? JA: Writing was a pleasure for me as a child, but in high school, my memories of Laura Ingalls Wilder and Louisa May Alcott faded under reading lists with just a few poems by Emily Dickinson and stories by Eudora Welty among bulky novels written by men. Curriculums have become more diverse, but women remain underrepresented in science. I like the thrill of the hunt to find what’s partly buried. And it’s another joy to introduce young readers to women who pursued their dreams. Reading can show us we’re never alone. 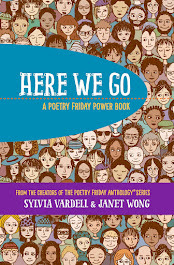 SV: What do you think biographical poetry might offer that a nonfiction prose biography might not? JA: Biographies don’t always suggest the sense of a life in context, such as the sounds of waves, the slickness of rocks, or the scent of the night sky by the salt water where discoveries were made. 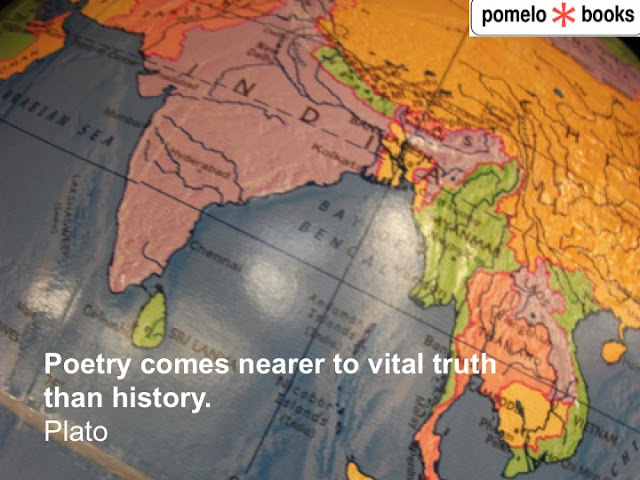 Some fact-heavy nonfiction can give the wrong impression that everything has been discovered. Poetry’s compression, imagery, and omissions may create a sense of mystery that reflects the way nature keeps surprising us. SV: You’ve authored several different books about girls and women and science—some in verse, some in prose. How do you decide which you are writing and which story must be told in verse? JA: There’s often more blundering than choosing, or I work my way through the wrong form before finding one that’s better. I first wrote Borrowed Names as prose, but it seemed to grow more alive under my hands when I took out words. Sometimes nonfiction can seem too long. And sometimes poems may seem too short. Writing the linked poems let me show what led to discoveries, as well as how girls devoted to science also cared about neighbors, families, religion, a friend’s choice in shoes, whether the chowder was hot, or other everyday concerns. Sure, science needs devotion, but even Marie Curie made time to bicycle with her daughters and tend a rose garden. SV: Why do you think fathers are so important in the lives and stories of female scientists? JA: It’s said that every father of a girl becomes a feminist. Maybe that’s wishful, but the fathers in the families shown in Finding Wonders wanted to share their passions, needed help with their work, and didn’t discriminate between daughters and sons. Even today, fathers are more likely than mothers to have science and engineering knowledge to pass on, and men who don’t have sons seem more likely to ask daughters to help them fix the car or plumbing, ensuring that girls feel competent with making measurements and using tools. Hurray for those dads! 1. Read Finding Wonders aloud as a class or group book selection. Select passages can even be read readers’ theater style with volunteers taking the parts of the main characters/subjects Maria Merian, Mary Anning, and Maria Mitchell, as well as their dads, moms, siblings, and friends. You serve as narrator reading the rest of the lines. Talk about each of these women and what she accomplished in her life. Then work together to add visuals so students can truly picture the era in which each of these women grew up and worked (Maria Sibylla Merian (1647–1717); Mary Anning (1799 -1847); Maria Mitchell (1818–1889). Check out the “Finding Wonders Timeline” at the author’s website. Collaborate to create a slideshow featuring these images and reading (and recording) a poem or two about each woman from Finding Wonders. Share during an Open House or Science Fair. 2. In Finding Wonders, Atkins makes it clear that each woman’s interest in science, math, or engineering is rooted in her childhood explorations, hobbies, and interests (e.g., painting outside, hunting and collecting, numbers and puzzles, stargazing, etc.) In many cases, each girl had several interests (in drawing or painting AND in studying nature, for example) that evolved into true scientific inquiry. 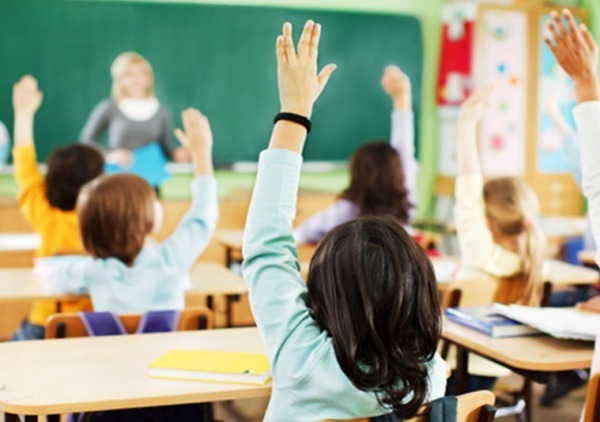 Talk with students about their hobbies and interests and point out how these may offer STEM connections. Research possible career paths that might emerge from these interests using websites like SmithsonianEducation.org/Scientist/ or ScienceBuddies.org/science-fair-projects/science_careers.shtml or Discovere.org/discover-engineering/engineering-careers or CareerCornerstone.org/muscenters.htm Invite guest speakers (particularly women) who work in these fields to talk with students about their own STEM work and the roots of their interests too. 3. What other women have been unheralded in the STEM fields of science, technology, engineering, or mathematics? Work together to research more names worthy of exploration using books like Women in Science: 50 Fearless Pioneers Who Changed the World by Rachel Ignotofsky or Girls Think of Everything: Stories of Ingenious Inventions by Women by Catherine Thimmesh or Amelia to Zora: Twenty-Six Women Who Changed the World by Cynthia Chin-Lee and websites such as Biography.com or FamousFemaleScientists.com or AMightyGirl.com. 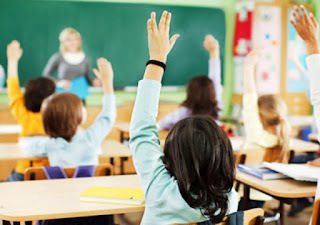 Students can choose a women scientist subject, then take notes or jot key words describing her and her contributions and examining what is known about her childhood, in particular. They can begin with the women featured in Atkins’s works: Maria Merian, Mary Anning, Maria Mitchell, Anna Comstock, Frances Hamerstrom, Rachel Carson, Miriam Rothschild, Jane Goodall, Jeanne Baret, Florence Baker, Annie Smith Peck, Josephine Peary, Arnarulunguaq, Elizabeth Casteret, Nicole Maxwell, Sylvia Earle, Junko Tabei, Kay Cottee, Sue Hendrickson, Ann Bancroft, Katharine Wright, Blanche Stuart Scott, Bessie Coleman, Amelia Earhart, Jackie Cochran, Jerrie Cobb, Shannon Lucid, Eileen Collins, Marguerite Perey, Florence Nightingale, and Marie Curie. 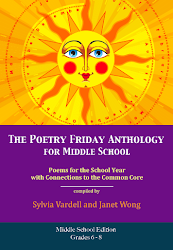 Then challenge students to take those details and turn them into a free verse poem or biopoem and make a class poetry book of STEM women heroes for Women’s History Month in March, National Poetry Month in April, or for sharing any time. 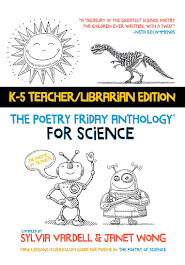 For more examples of poems about women in science, look for The Poetry Friday Anthology for Science. 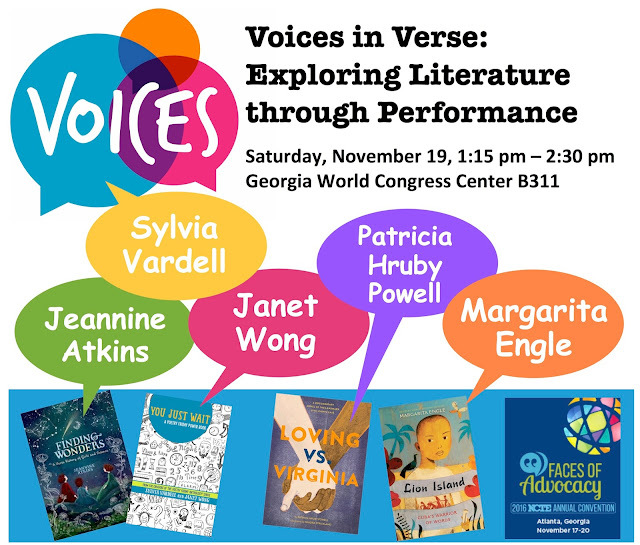 I'm also happy to say that I'll be presenting with Jeannine and several other poets including Margarita Engle, Patricia Hruby Powell, and Janet Wong at the annual conference of the National Council of Teachers of English next week in Atlanta. If you're going to the conference, I hope you'll join us and if not, I'll try to post some nuggets from the conference later. 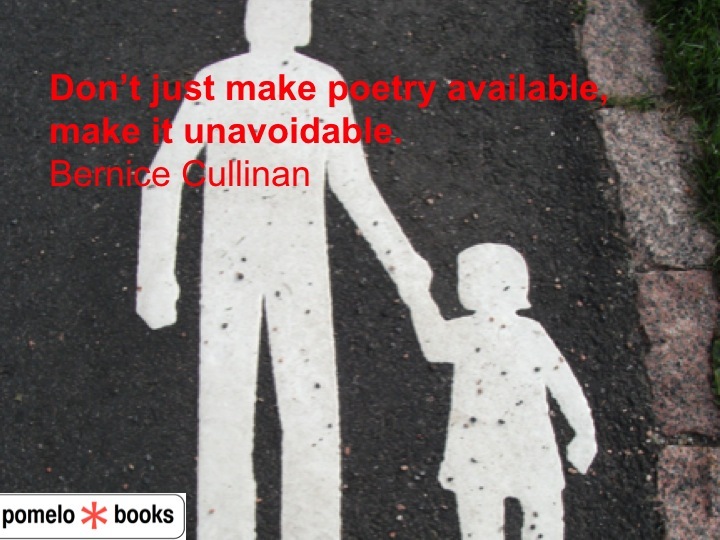 Meanwhile, join the Poetry Friday fun over at Jama's Alphabet Soup. She always throws the very best parties! See you there! November is national Native American Heritage Month and a good time to seek out, share, and celebrate poetry by and Native American writers. In fact, check out the recent Presidential Proclamation that beautifully describes why this is such an important celebration. 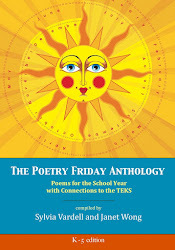 I'm so pleased to feature a poem by Debbie Reese in honor of Native American Heritage Month. Debbie is a fellow academic who keeps the rich and informative blog, American Indians in Children's Literature. 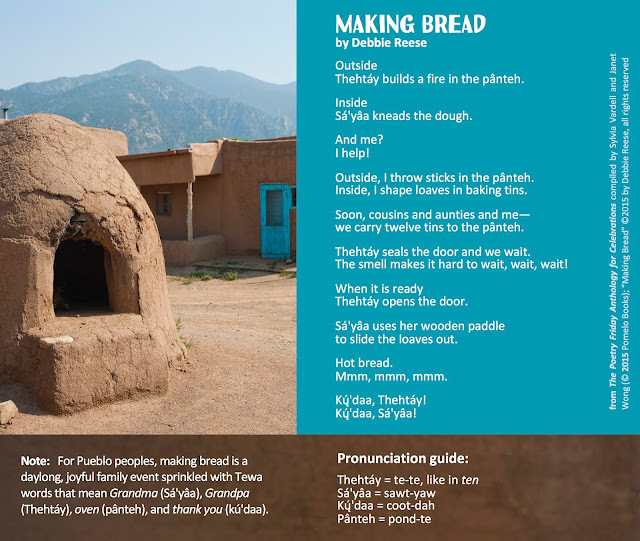 She is Pueblo Indian, tribally enrolled at Nambe Pueblo in New Mexico and her poem, "Making Bread," describes a beautiful family and Pueblo tradition complete with Tewa words (and a helpful pronunciation guide).You'll find this beautiful poem and 155 more in The Poetry Friday Anthology for Celebrations. For more poetry by Native American writers, look for these poetry collections. Voices from Native American or Indian tribes and traditions offer poetry in many forms. 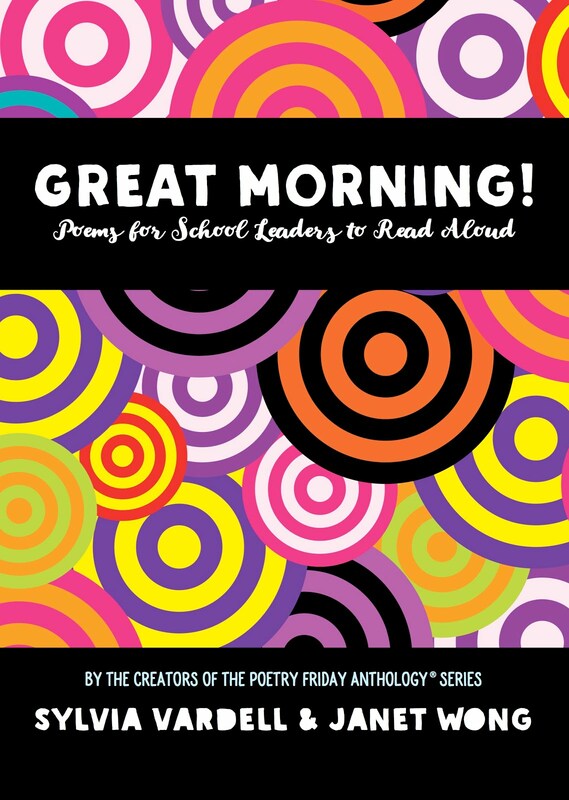 Here is a selection of these poetry books for young people. Begay, Shonto. 1995. Navajo; Visions and Voices Across the Mesa. New York: Scholastic. Bruchac, Joseph. 1996. Between Earth and Sky. San Diego: Harcourt Brace. Bruchac, Joseph. 1996. The Circle of Thanks. Mahwah, NJ: Bridgewater Books. Bruchac, Joseph. 1995. The Earth Under Sky Bear's Feet: Native American Poems of the Land. New York: Philomel. Bruchac, Joseph. 1996. Four Ancestors: Stories, Songs, and Poems from Native North America. Mahwah, NJ: Bridgewater Books. Bruchac, Joseph. 1992. 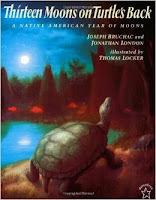 Thirteen Moons on Turtle’s Back: A Native American Year of Moons. New York: Philomel. Carvell, Marlene. 2005. Sweetgrass Basket. New York: Dutton. Castillo, Ana. 2000. My Daughter, My Son, the Eagle, the Dove: An Aztec Chant. New York: Dutton. Francis, Lee. 1999. 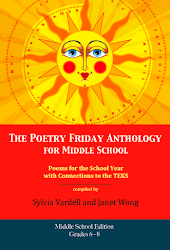 When The Rain Sings: Poems by Young Native Americans. New York: Simon & Schuster. Geis, Jacqueline. 1992. Where the Buffalo Roam. Nashville, TN: Ideals Children's Books. Hirschfelder, A. and Singer, B. Eds. 1992. Rising Voices: Writings of Young Native Americans. New York: Scribner’s. Littlechild, George. 1993. This Land Is My Land. San Francisco, CA: Children’s Book Press. McLaughlin, Timothy. Ed. 2012. Walking on Earth and Touching the Sky; Poetry and Prose by Lakota Youth at Red Cloud Indian School. New York: Abrams. Ochoa, Annette Piña, Betsy Franco, And Traci L. Gourdine. Ed. 2003. 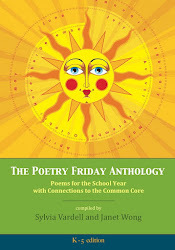 Night Is Gone, Day Is Still Coming; Stories and Poems by American Indian Teens and Young Adults. Somerville, MA: Candlewick. Slapin, Beverly, And Doris Seale. Eds. 1998. Through Indian Eyes: The Native American Experience in Books for Children. Berkeley, CA: Oyate. Sneve, Virginia. D. H. Ed. 1989. 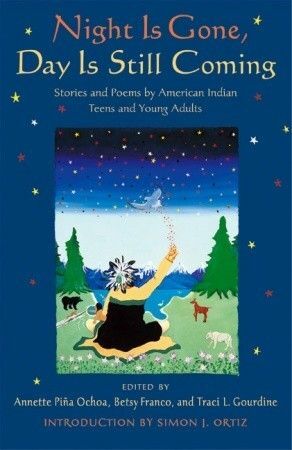 Dancing Teepees: Poems of American Indian Youth. New York: Holiday House. Swamp, C. J. 1995. Giving Thanks; A Native American Good Morning Message. New York: Lee & Low. Swann, B. 1998. Touching the Distance: Native American Riddle-Poems. San Diego, CA: Browndeer Press/Harcourt Brace. 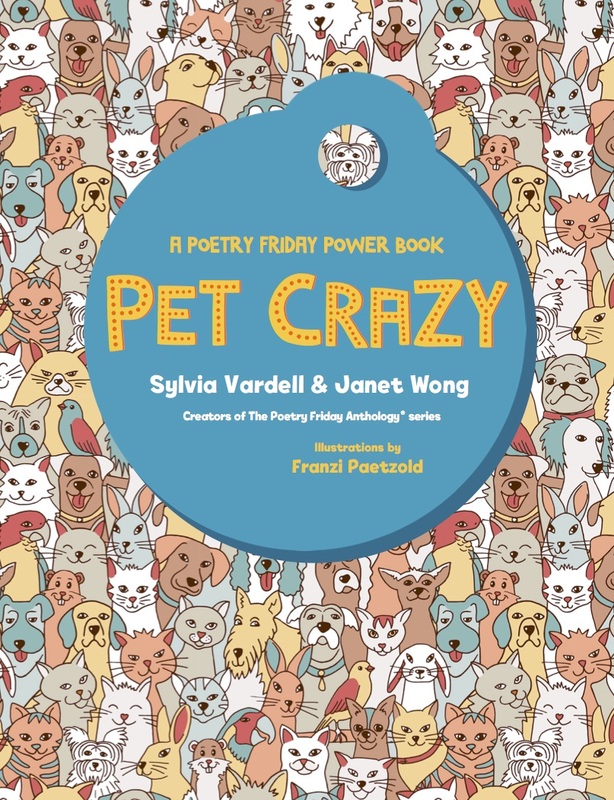 And I'm late to the party, but don't miss the rest of the Poetry Friday posts all wrangled by Laura Purdie Salas over at Writing the World for Kids.